With something like that in mind, a couple of months ago I got myself a cheap TDM900 with a view to adapting it into a gravel and travel bike with my usual low-tech and inexpensive tricks. 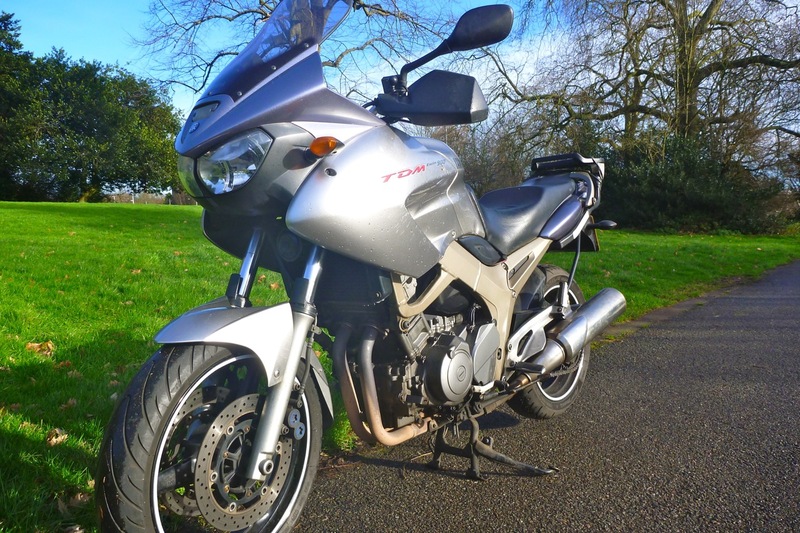 The word out there was that TDMs were a much under-rated road bikes, one of the many ‘sleepers’ which meet with high approval from actual owners but slip under the radar with most of the conservative buying public and performance-obsessed mags. ‘Only 86.2hp @ 7500rpm’ they scoff. Clearly not worth getting out of bed for then. 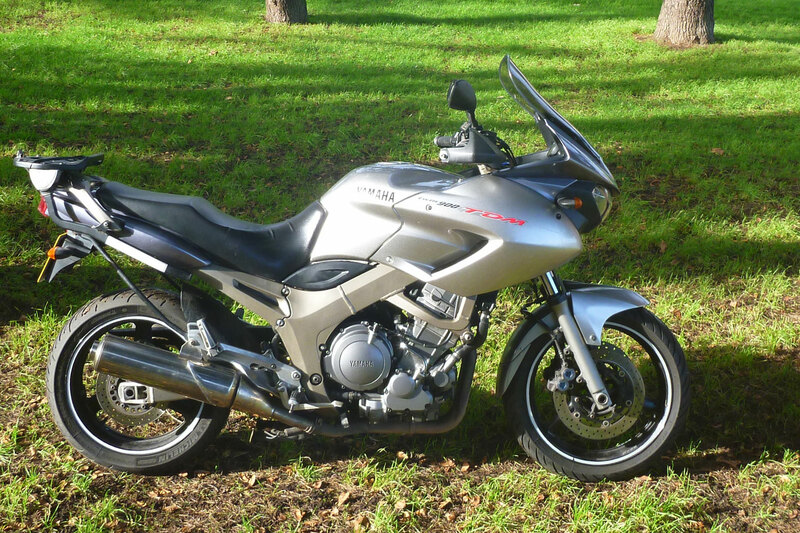 Mine came with hand guards, hot grips plus a tall screen (√, √ and √) but also an ugly Givi clip-on top box and an annoying Datatool alarm which was as old as the bike and playing up. It cost me sixty quid to get it professionally extracted. DIY is not so easy but I made some back selling the reprogrammable key fobs. Action with the project was initially slow, partly because with 50k on the clock, I wanted to ride it around a bit first to make sure everything went up and down and round and round like it should. 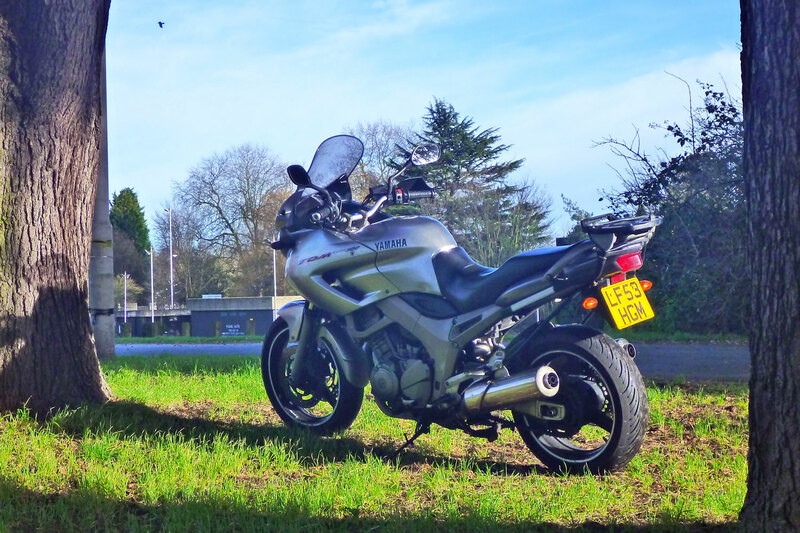 I don’t recall ever owning a bike with such a high mileage but the word was that, especially with the low-stressed 900 motor and providing it had been looked after, there were at least as many miles and another decade left in it. Another cause for hesitation was that in establishing the Yam was in surprisingly great shape, I discovered it was actually a very nice handling road bike of the kind I don’t recall ever owning. Is it the ‘small’ wide wheels; low-profile rubber; relative lowness; a Fibonacci-like trail/rake/fork angle combo? Who knows, but for a heavy bike it dropped into bends with no bar input required. Throttle and clutch were light and the gearbox was snickety-snick. Only the suspension felt a bit harsh on the knackered suburban roads round here, but had plenty of settings to meddle with. Looking on the web it’s no surprise to find I’m not the first person to want to adapt their TDM into more of an all-roader (see gallery bottom of the page). 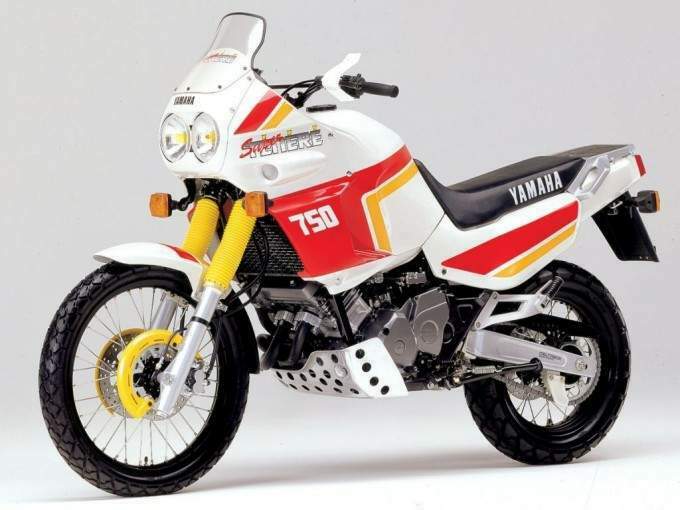 After all, Yamaha’s TDM evolved from the original late 1980s, 21/17 wheeled 750 Super Tenere (left) which at 200-kilos and with a 26-litre tank was inspired by the Sonauto YZE 750T Paris-Dakar bikes (below). 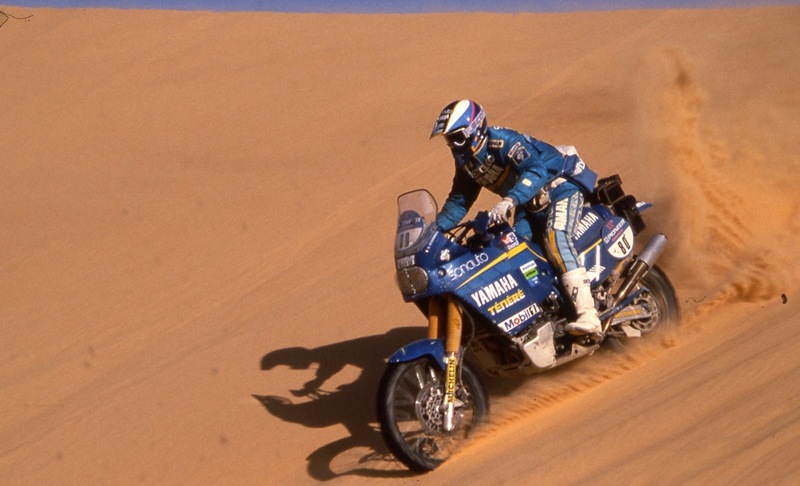 Peterhansel in the ’89 Dak and quite possibly in the Tenere desert. Who wouldn’t want something like that in the garage? In the early 90s the 750 Super Tenere was transformed into the TDM 850 (below left, in red), taking a regrettably big step away from the 75o’s desert racing aspirations towards what I suppose what they call sports tourers. It’s said the 850 was a solid hit in Europe and Australia, but a flop in the US where the 850 was dropped within a couple of years (quite possibly to the regret of this guy). 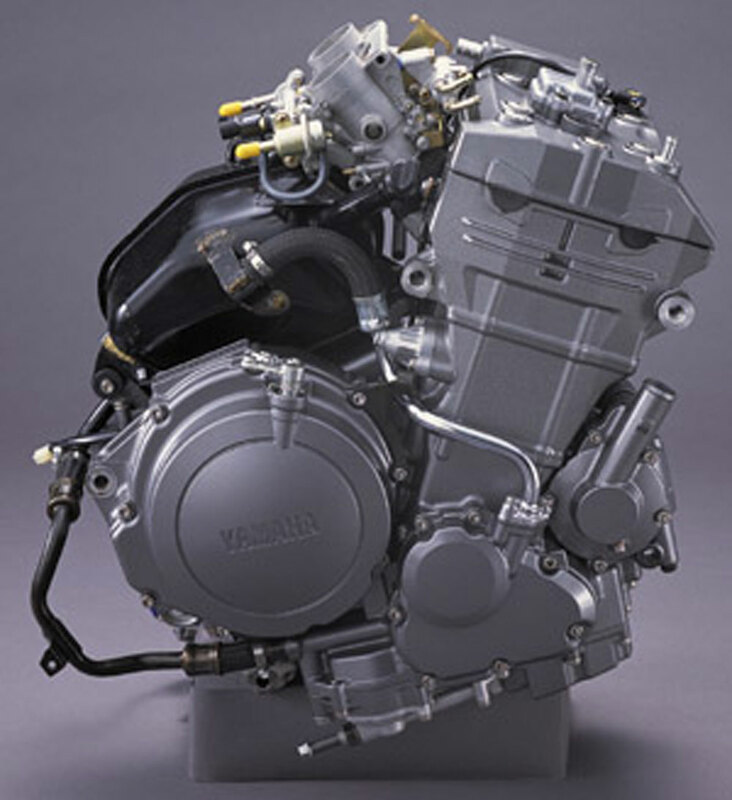 By the mid-90s we got the MkII 850 with a few improvements, most of which I forget but which included a less lent-forward engine (reducing carb needle wear) and best of all, the crank offset by 90° to give the motor an uneven ‘Ducati’ beat and crossplane power characteristics. This pulse and sound remain one of the TDM’s main attractions, especially once you fit some fruity, free-breathing slip-ons. In Europe alone over 60,000 850s were sold in the decade before the lighter, alloy-framed and fuel-injected 900 came on the scene in 2002 [good article]. And by all the accounts I scoured (and not least to due to the 850s’ age these days), the 900 seems to be the one to get. It’s still in Yamaha’s line-up today, at least in Australia. In Europe it looks like the 900 may have been quietly dropped. 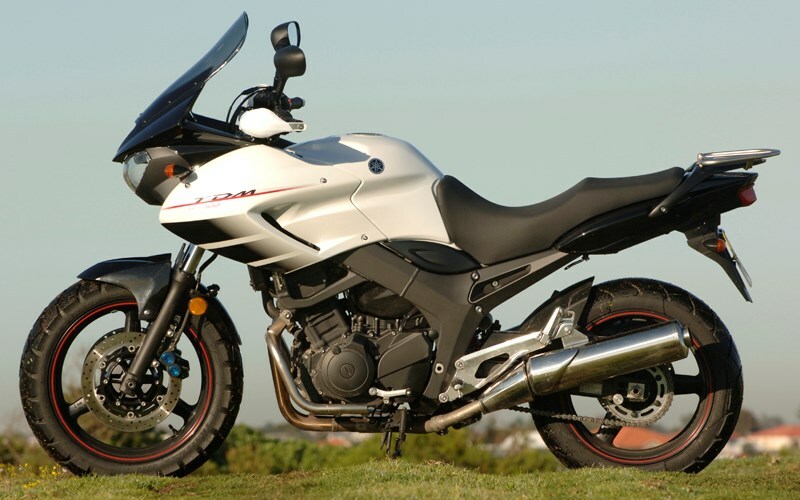 What would a TDM need to make it into more of an XTZ750? Would it be worthwhile simply extending the suspension, slapping on a bashplate and fitting some knobbly rubber before shoving it out the hatch over gnarly territory? Wheels are 17 and 18-inchers but tall-sidewall tyres are an easy way to an inch or so of clearance. Some 4.10 x 18 or 120/90/18 tyres would actually be taller than a 19er and theoretically provide lots of dirt cushioning for the rims while probably giving less secure roadholding on fast bumpy bends. The two Aussie bikes above left are running high-wall fronts. A more lateral solution to increase clearance was to reroute the under-engine pipes (left). But a quick look proved there was no easy way of bend them round the sump and centre-stand. The whole TDM motor is packed in tight with a 5-litre oil tank jammed between the gearbox and EFI. Off-the-shelf crash bars do exist (right) and making a home-made bashplate wouldn’t be too hard. My 900 came with a kerb-mashed belly pan which I soon ditched but left the brackets in place for later. As it is, you can ding an exhaust without the sky falling in (plenty of used ones on ebay), but it only takes one rock with a mission to hole the cases, so it does need something down there which takes back the inch of clearance you gain from the high-wall tyres. ‘Better five inches of good, progressive suspension than eight inches of ill-sprung, underdamped movement’ you hear said, but I looked into lengthening it anyway. The back is easily done of course: find a used shock that’s a tad longer than the R1-type unit, buy an over-length aftermarket unit, or meddle with the dog bones. On the front I had the idea of ‘fork extenders‘ before I realised they actually existed. Seems they’re a bodger’s hangover from the twilight years of the 70s chopper craze. You get either slip-on sleeves (far left) or screw-ins (left) to give your USU fork a few extra inches. You then either fill out the slack spring with spacers (chopped off ‘bar ends between coins we used to use) or splash out on longer progressives. Some claim these extenders were outlawed years ago or that they’re dangerous, and even I have to admit that on a hefty gravel roader like a TDM, creaking, wearing slip-ons might eventually strain the lower triple clamps under repeated hard braking. Screw-ons in a modest ≤ two-inches seemed a better solution. This guy on xrv.org got some made for ATs and a mate offered to lathe me a set. One problem with the TDM forks was it wasn’t simply a matter of packing out or slipping in longer springs – the fork damper adjustment rods running down from the fork caps (top left) would need extending too. Thant’s not too hard but it was all getting a little more complicated and pricey for my low-tech, low-budget resolve. The next step was to track down a longer used forks off something else. The TDM runs 43-mm tubes and the slider tubes are 621mm long. First I wondered about simply buying a same-diameter but slightly longer set of replacement fork tubes off tube makers Tarozzi, but wasn’t sure if the milled fork tube ends differed from bike to bike. Probably, so then with the help of this handy Tarozzi fork tube length / diametre webpage I found that the twin-disc forks off an XT660Z Tenere came closest with an additional 90mm (3.5″) of exposed slider compared to the TDM. Like I said I wouldn’t want anything more than a two-inch rise which would leave 1.4 inches sticking out on top so it might have needed bar risers. I soon found a near-new pair of used 660 Paiolis. And that’s about as far as I got with the TDM Super Tenere project. 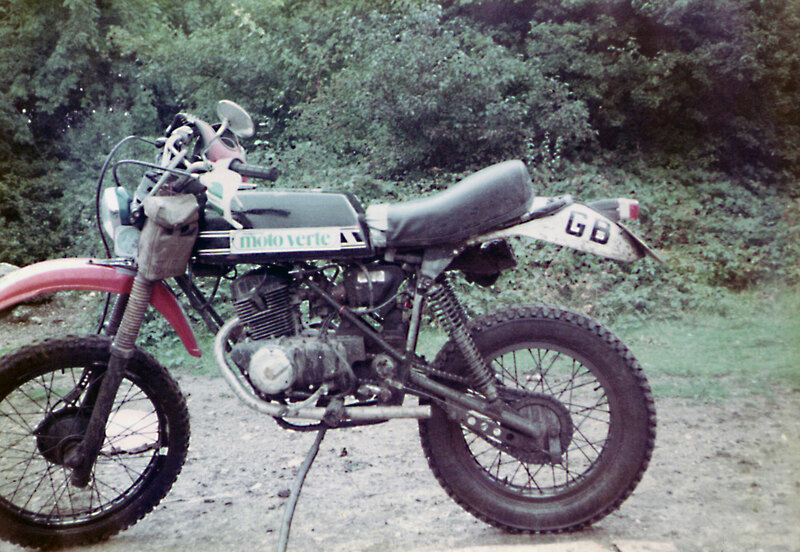 The acquisition of the longer forks required a call to action, including a suitable wheel; a spoked wheel on a Tenere hub would have been easy enough, though I’d rather stick with native tubeless. 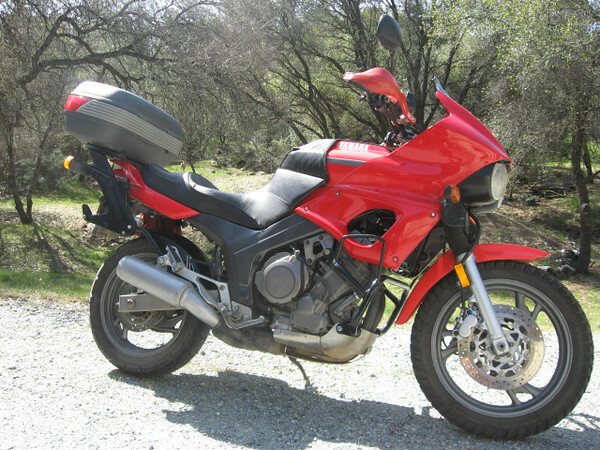 But the more I rode the TDM the more I thought this was not some worthless old hack like my GS500R. It seemed a real shame to quite probably snuff out TDMs exceptional road manners by converting it into a top-heavy dirt tank which, without the investment of high-end suspension, would lack any real-world off-road agility. One thing I learned with the GS500R (and the Benele from 1984 come to that, above left) was that it’s easy to make a bike taller to add ground clearance. 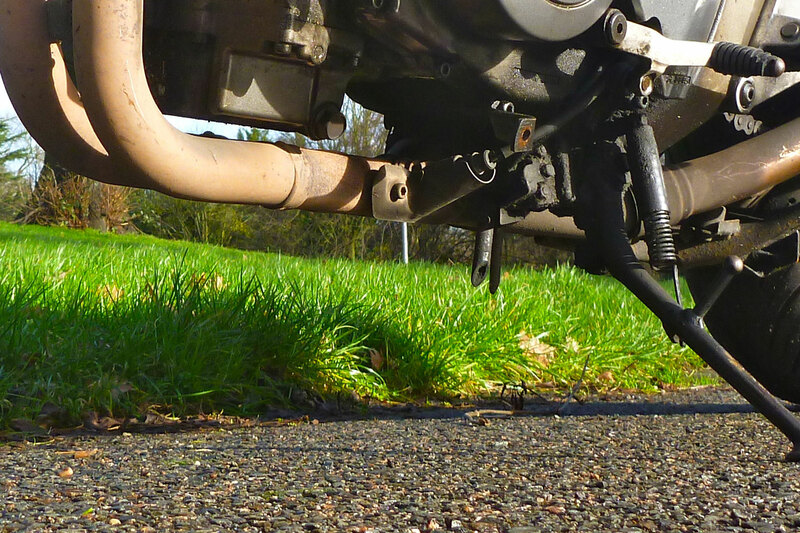 It’s less easy or more costly to gain good-quality suspension. TDM overlaid on a XT660Z with key points marked to show just how much higher the XT is. On top of that I suspected the height difference between footrest and bars was too small for easy standing up (see animated gif left) and a stack of bar-risers to dodge that would create cable-length issues. Plus early on the scales had revealed a rather shocking 230kgs fully fuelled which I wasn’t sure equated with the claimed 190kgs dry (though the handbook claims 221kg wet). And they say the 900 was lighter than the 850. I enjoyed tooling around on my mid-winter TDM, but great road bike though it was, I think I’ve become too conditioned to trail bikes: the stance and the impression of go-anywhere agility. I couldn’t see the TDM ever delivering that on jacked-up suspension. Despite its qualities it’s too heavy for my sort of riding which I’m reminded wants a bike that’s <200kg wet. 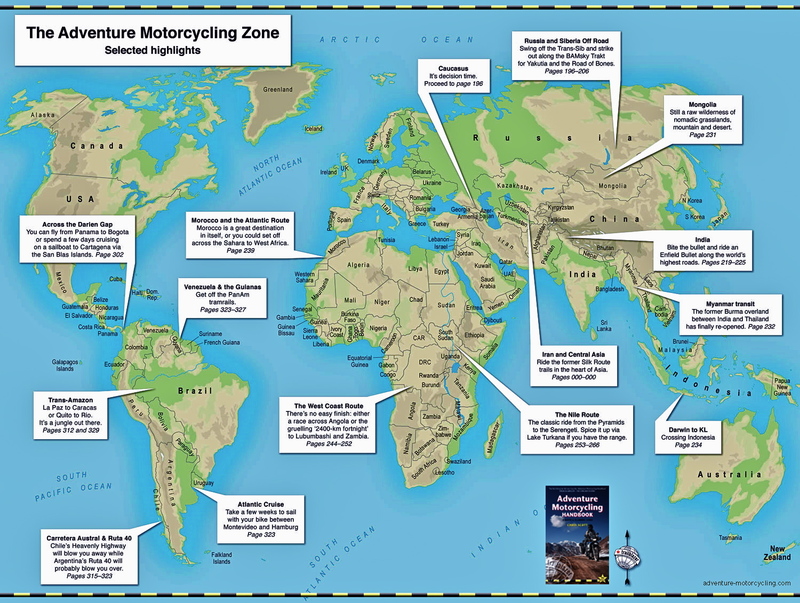 Below, a few examples pinched from the web of what could have been (mostly from this advrider TDM thread). 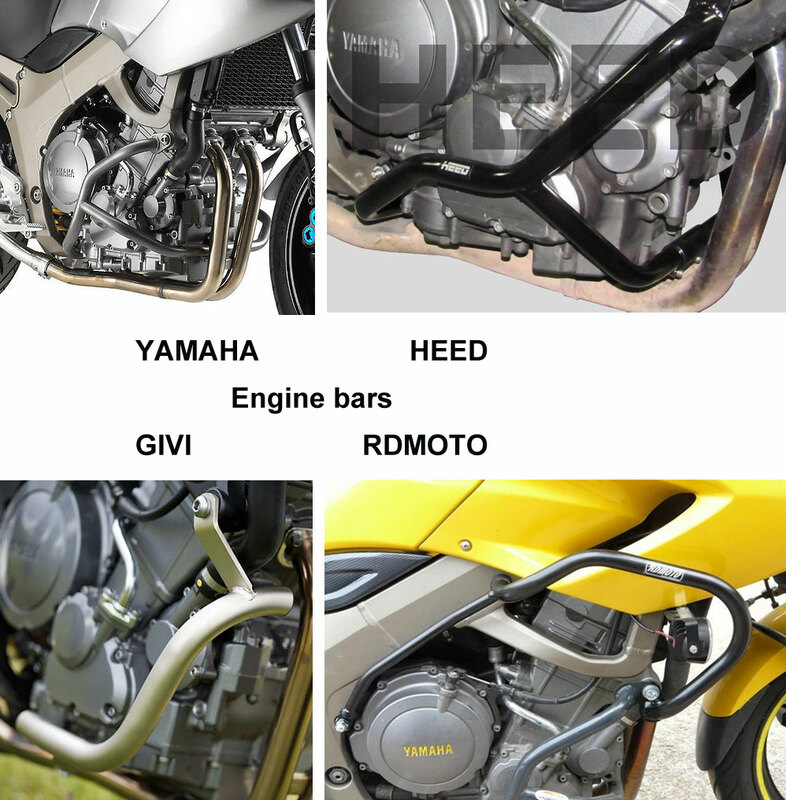 Some are 850s and some are based on the same-engined, trellis-framed TRM 850 road bike or XTZ750s with TRM / TDM 850 motors. 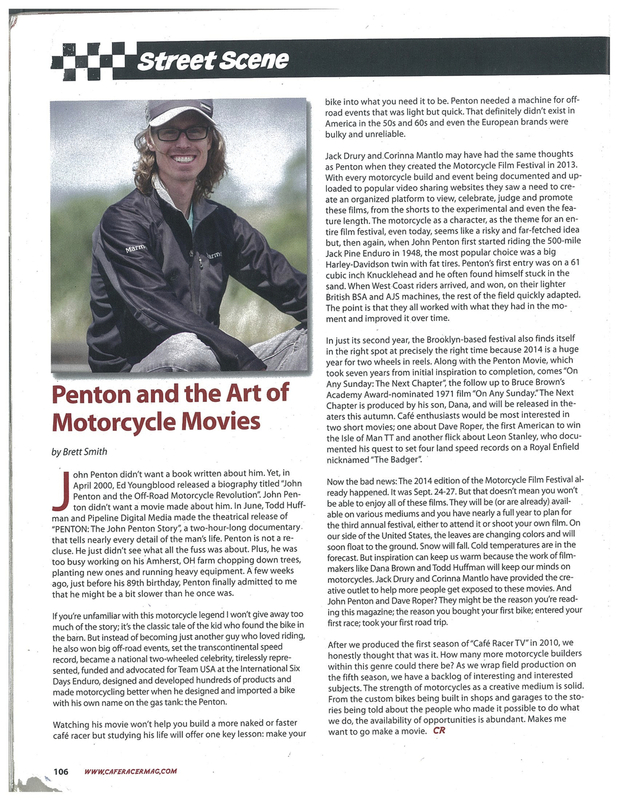 Meanwhile, I may have a better idea of how to ‘make a bike what I want it to be’. 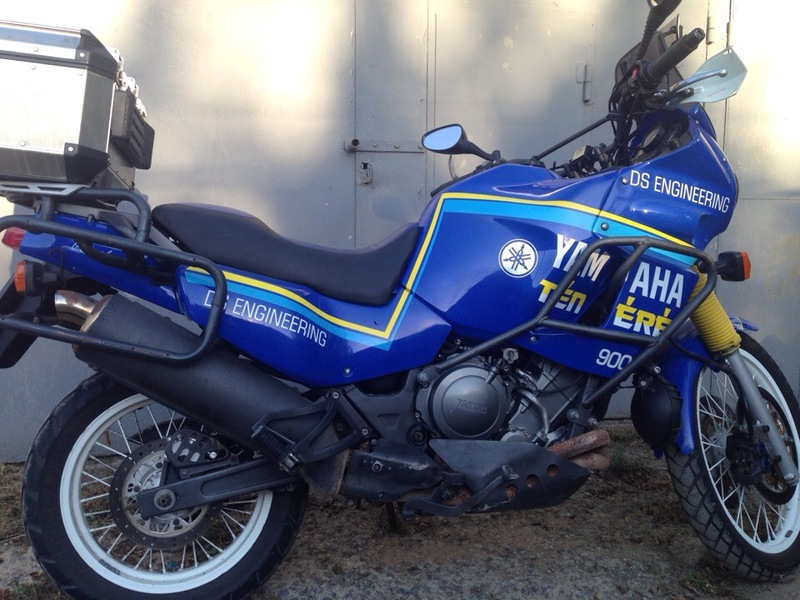 This entry was posted in AMH News, Project Bikes and tagged benele, fork extenders, high-sidewall tyres, john penton documentary, super tenere 750, Suzuki GS500R overlander, tdm 850, xt660z tenere, yamaha tdm900, yamaha YZE 750T Paris-Dakar. Bookmark the permalink.